From Harvey Milk to Danica Roem! Wednesday Morning Man: David Muir! 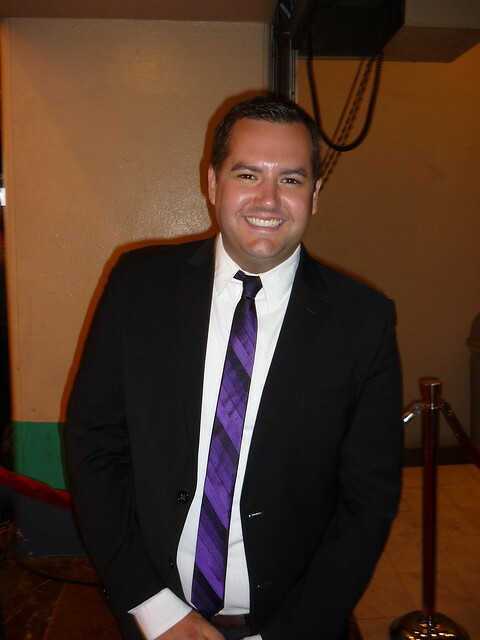 It’s always great to bump into Ross Mathews, the funny TV personality who made a name for himself as “Ross the Intern” on The Tonight Show with Jay Leno. Well, Ross is an intern no more as he is billed as Ross Mathews when he appears on Leno and when he makes his frequent appearances on Chelsea Lately on E! Ross and I first gabbed around three years ago when he took a stand against the Koo Koo Roo chain because they had removed his favorite squash side dish from their menu. He not only got it restored, but it was then named Ross’s Squash. Greg: Do they still have the squash? Q. How are there enough hours in the day for you to do all the things that you do? A. One thing that works is that I’m always just really happy and grateful. It is really hard to get a job in this town so I’m really happy. I get to do Chelsea Lately I get to do Leno. Q. How is it to be back with Jay on late night? Is everything like it was before? A. It feels good to still be on Jay nine years later. I’m creative consulting and sort of producing my segments now so my voice is stronger than ever. I got rid of the intern title which I embrace but you have to move on because I’m 30! Q. How did you and Chelsea hook up? You have such great chemistry. A. Chelsea and I met years ago before she got her show when we were both, you know, struggling. Trying, trying, trying. And then I hitched myself to the right train or something because she just took off like I always knew she would. She’s so talented and she’s so funny but what people don’t know about her is that she’s so loyal and family oriented and she has treated me like a family member. Q. How’s your love life?